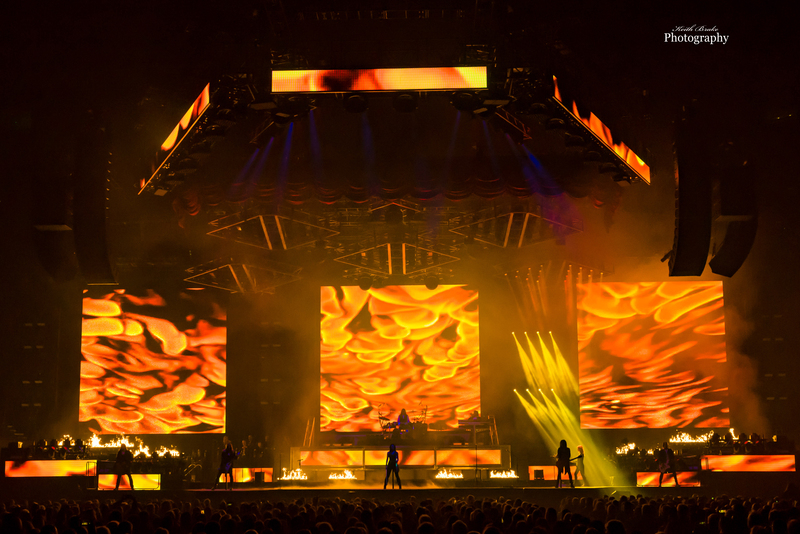 Trans-Siberian Orchestra performing at Scottrade Center Tuesday. Photo by Keith Brake Photography. 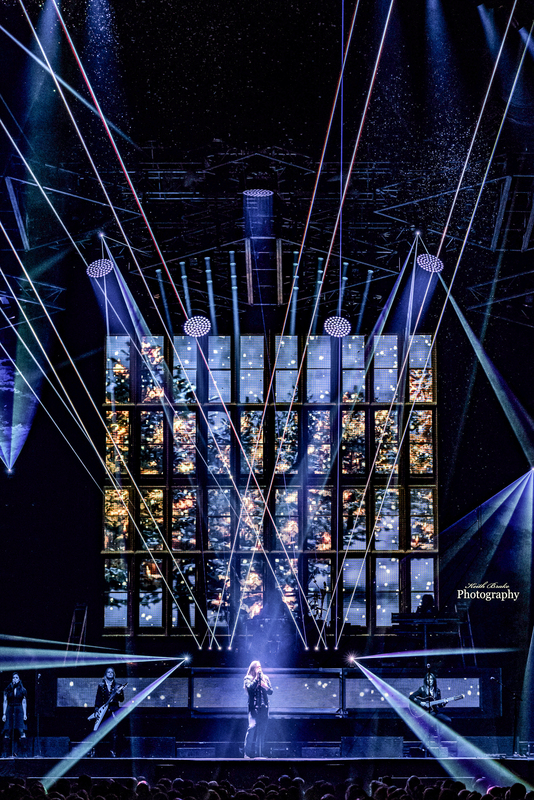 Trans-Siberian Orchestra; the name itself emits visions of grandeur, and since their inception in 1999 that is exactly what they have given us, visions of grandeur. To partake of the annual holiday tour is something I was new to, but impressions were made Tuesday at Scottrade Center and I am certain it will not take me another 41 years to see the show for a second time. 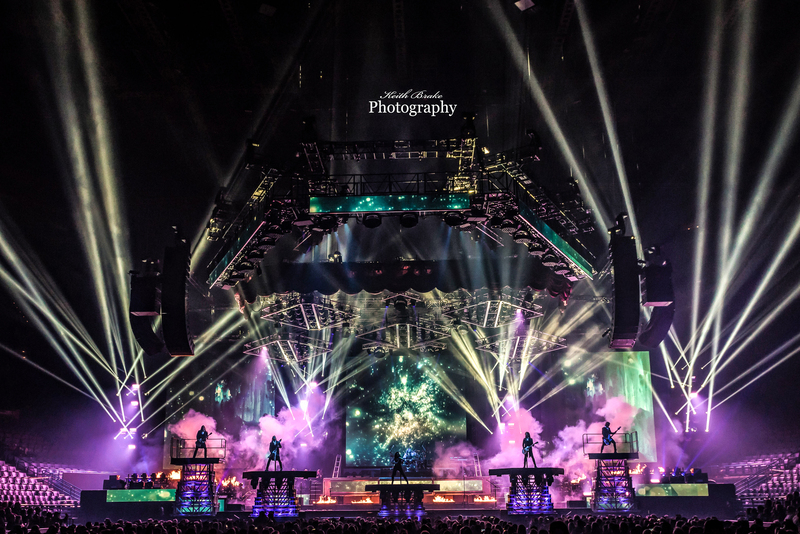 TSO is one of the most visually spectacular productions that one would ever have the opportunity to behold, but that is only a piece of the show. To go along with the aforementioned visual effects, not much really, just basically perfection in all facets of the performance. The production is not the only thing this group of performers does with zest, they give back to the community and in a big way. 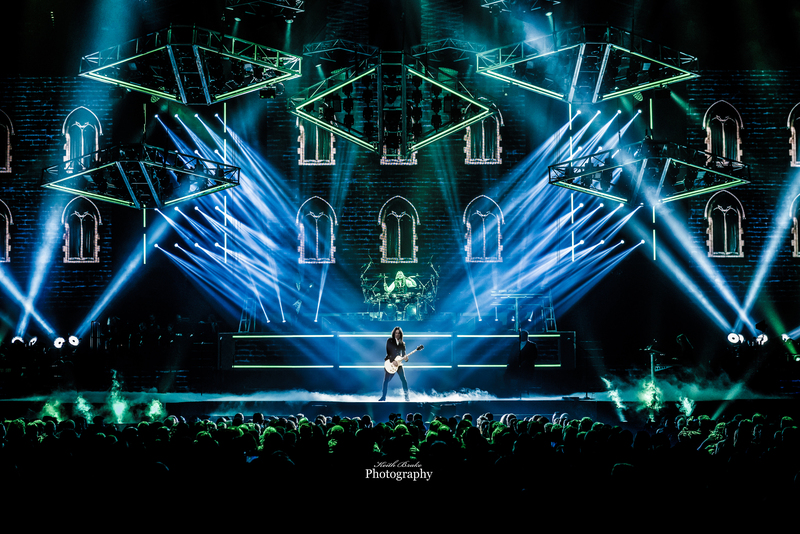 Trans-Siberian Orchestra donated a portion of the proceeds to Saint Louis Shriners Hospital that was in excess of twenty thousand dollars; their way of saying thanks. I can only explain this show as part Broadway, part Christmas, part theatre, part Rock N Roll and a whole lot of awesome. From the moment the first graphic was evident upon the LED screens the crowd was mesmerized. With close to twenty performers on stage at any given moment the action was abundant and well appreciated by the Saint Louis crowd. The storyteller for the evening was Phillip Brandon, with a voice clear and powerful the evening was narrated by Mr. Brandon. A “simple narrator” could get overlooked or lost in such a production, but not Phillip, he was a standout, a cornerstone of the event. Another standout in this talent laden group was Jeff Scott Soto, if this name sounds familiar to you it should. Soto toured with Yngwie Malmsteen at the tender age of eighteen. Soto later showed off his chops providing the voice fronting the fictitious band “Steel Dragon” for the movie “Rockstar”, sorry ladies, Mark Wahlberg did not do his own stunts. Soto belted out a fantastic and powerful version of “This Christmas Day” that rivals any single song performance I have witnessed this year. Charisma mixed with undeniable talent make Soto a true site to behold when he is going all out. Chloe Lowery certainly did not miss the mark on any of her amazing notes either. Lowery turned out a performance of “Christmas Canon Rock” that left the room in awe of her voice. Lowery sang other numbers throughout the show as well, and none were found wanting. Al Pitrelli and Angus Clark handled the guitar work for the evening and did so masterfully. Pitrelli left all in attendance covered in goosebumps with his beautiful and monstrous solo work in “O Come All Ye Faithful/O Holy Night”, one of the best guitar performances I witnessed this year. 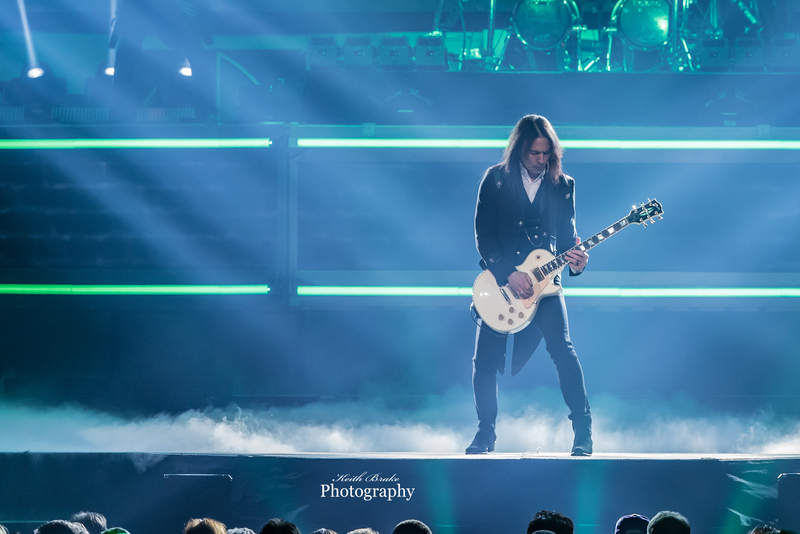 TSO only tours for two months each year which can make getting tickets a little difficult. To help fans chances of getting tickets, the group plays two shows at each location and has enough members and production crew to run two full performances in separate regions. That in itself is more than impressive but when you factor in the fact that it takes 18 Semis and about 100 crew members to pull off ONE location, it just reaffirms the enormity of what is the Trans-Siberian Orchestra. Be sure to check out the photo gallery after the setlist. As always, thanks for the support! Trans-Siberian Orchestra donation at Scottrade Center Tuesday. Photo by Keith Brake Photography.